Che is unvanquished. Proletarian revolutionaries and revolutions don’t get vanquished as they move from one phase to another through class struggle. So, the torch of liberation that Che Guevara carries never gets eliminated; the flame of freedom that Che ignites never gets extinguished; the dream of equality that Che livens never gets wiped out. Today, the day Che Guevara looked for the first time at the sky over the earth, June 14, 1928, in Argentina, his birthday, is the time to reiterate these messages of freedom-liberation-equity-equality, is the time to reenergize the act of materializing the dream Che lives for and sacrifices his life for as life and nature on our planet are being threatened and tormented by the global capital with accelerated speed and dangerous force, as capital is widening inequality with increasing rate, as capital is carrying on exploitation in an unrestrained way, as divisive ideology and politics are being infused in the rank of peoples. Che stands against all these – exploitation, inequality, divisive ideology and politics of all color, global capital and imperialism. Che stands for a radical change of exploitation-based society. 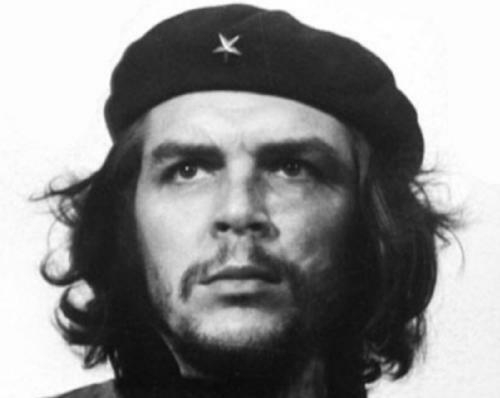 Che stands for abolition of private property, which is at the root of human suffering and destruction of nature, and which is not even mentioned for a single time by today’s preachers and practitioners of divisive ideology and politics – a basic and essential line demarcating people and capital. Che was one of Fidel’s closest comrades-in-arm, and this makes Fidel one of best teachers to explain Che. Fidel recollects: “The circumstances in which my relationship with Che developed were so unique – the almost unreal history of the brief but intense saga of the first years of the revolution when we were used to making the impossible […]” (Speech delivered on October 8, 1987 at the ceremony held in the city of Pinar del Rio marking the 20th anniversary of the murder of Che) It was “making the impossible”, and Che was within the task. Proletarian revolutionaries embark on similar tasks. Economies overwhelmed with lumpen practices influence many in pro-people camp with lumpen attitude, a complete opposite to Che’s. Lumpen practices resort to lethargy and negligence in carrying on “duty in every little thing, every detail, every activity”, not setting example while “teaching and educating”, not “wanting to be the first to volunteer for the most difficult task, the hardest ones, the most self-sacrificing”, not sacrificing “body and soul for others”, not displaying “true solidarity”, letting down a comrade, not a “simple person”, having contradiction between practice and preaching, not be “a man of thought and a man of action”, and not reaching the masses of people. The lumpen practice is boosting self by donning a T-shirt emblazoned with an image of Che, mongering slogans and keeping away from essential task of building up organization, carrying on haphazard activities and increasing indiscipline. The total practice goes against people. And, Che stands against the lumpen practice. This was one part of the perspective that chiseled Che within a socio-economic-political reality. There was imperialism clutching a people in a continent; there was exploitation and deprivation in the continent; there was a dominance of backward ideas in the continent, and the island-country – Cuba – is part of the continent. Fidel, Che, their comrades, and the people in Cuba had to revolt against these. They had to build up an organization to organize the revolution. Strength of the exploited classes in organizing their revolution is here, in the statement of Fidel: “faith in human beings”, “revolution started from a scratch, from nothing”, “not have a single weapon”, “not have a penny”, and yet confront “all that might”, and keeping trust in humanity. It’s rational for the exploited. Their ideas neither fall down from the sky nor crop up from a hollow ground of imagination. The exploited classes never weave gossips of imagination as they don’t ignore class struggle while the exploiters have to resort to fabrication as that’s their only path to deceive others and to conceal their exploitation process. This fire of reality tempers proletarian revolutionaries. Che breathes within reality. Fidel’s observations on Che also help identify burning issues related to the task of radical transformation of human society. Che’s antagonism with capitalism, as Fidel tells, is unequivocal. It’s fundamental, and, it upholds interests of the exploited. It’s Che’s class position, forgotten by a section during the days of Khrushchevites, and now, being overlooked by a section temporarily hostile to a faction of imperialism, which has possibility of allying with imperialism in future to safeguard property interests. These realities make Che relevant, essential and urgent today as he is uncompromising in upholding interests of the exploited. These realities make practicing lessons Che imparts an imperative. And, it will be losing Che’s lesson if someone sees Che with a narrow viewpoint, if someone interprets him with an outlook of adventurism.